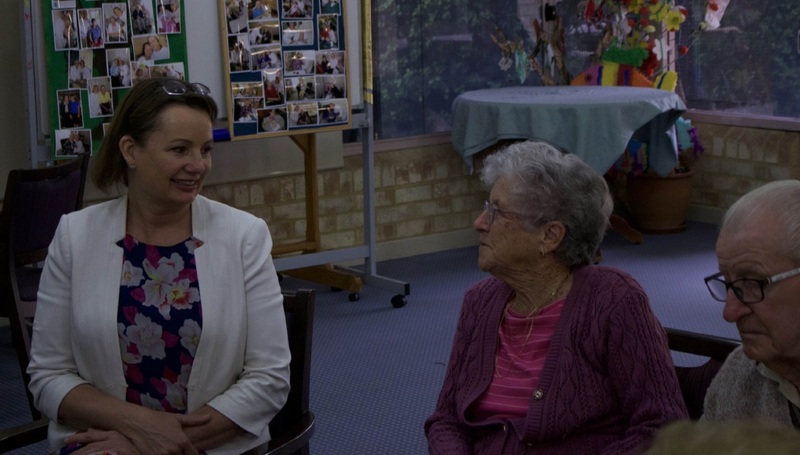 Federal Health and Aged Care Minister Sussan Ley talks with a resident at |Jeremiah Donovan House. Health and Aged Care Minister Sussan Ley and Assistant Minister Ken Wyatt shared afternoon tea with residents of Jeremiah Donovan House and discussed issues facing the sector with Southern Cross Care chief executive Errol Turner. Mr Turner said they spoke about the work being done by the aged care provider to improve care for residents with chronic illnesses, particularly dementia. “We have been making significant changes to improve care delivery for clients,” he said.